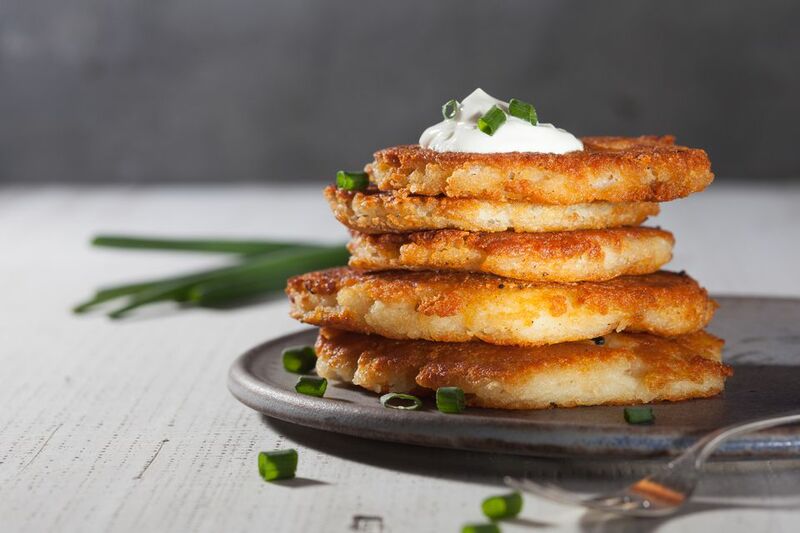 Potato cakes make a wonderful starter or party appetizer. They also work well at brunch time. In mixing bowl, gently whisk together all sauce ingredients. Refrigerate. In a medium saucepan cook potatoes in 2 inches boiling water, covered, 12 to 15 minutes or until tender. Drain, then shake potatoes over low heat 1 to 2 minutes to dry thoroughly. With an electric hand mixer or potato masher, mash potatoes until smooth. Beat in butter, milk, and garlic until blended. Season with salt and pepper. Allow potatoes to cool; mix in cheese and green onions. In a heavy non-stick skillet, heat oil over medium heat. Add potato cakes and cook about 5 minutes, turning once, or until heated through and golden on both sides.